Offering and market position: SCA is the world’s second largest supplier of consumer tissue. SCA’s product offering includes toilet paper, household towels, handkerchiefs, facial tissues, wet wipes and napkins. In Europe, SCA is the market leader and holds a market share that is about double that of the second largest player. SCA also holds strong positions in many emerging markets, such as in Russia and Colombia, where the Group is the market leader, and in Mexico, where it holds the number two position. SCA holds the number one position in China through its majority shareholding in Vinda. Products sold under SCA’s own brands account for about 64% of sales, while the remaining 36% is sold under retailers’ brands. SCA’s brand portfolio comprises several strong regional and local brands. Tempo, Zewa and Lotus are leading brands in large areas of Europe. Cushelle, Velvet and Plenty are strong brands in the UK and Ireland, and Edet in the Nordic region and the Netherlands. In Hong Kong and Morocco, Tempo is the market leader in handkerchiefs. In South America, SCA markets products under the Familia and Favorita brands, and holds strong positions in emerging markets including Colombia, Chile and Ecuador. In the Mexican market, SCA occupies a strong position with the Regio brand. Vinda is the leading brand in China. Strategy: In the markets where SCA is represented, the strategy is to be the leading supplier of strong brands by maintaining a high pace of innovation and successful brand marketing. SCA is also focused on expanding its product categories to further strengthen the customer offering. For example, a moist toilet paper was launched under the Lotus brand and wet wipes under the Tempo brand in 2016. For consumer tissue, SCA has assigned priority to increase profitability by reducing costs and optimizing sourcing, production and distribution efficiency. In Europe, the aim is to further strengthen SCA’s leading market position and SCA’s own consumer tissue brands and to grow the branded share of total sales. In parallel, SCA aims to be the best retailer-branded supplier. To improve efficiency and further increase value creation within the Tissue business area, a “Tissue Roadmap” was launched during 2016. This consists of a ten-year plan to optimize the supply chain, increase cost and capital efficiency and secure capacity for future growth. In addition, the aim is to enable faster production adaptation in conjunction with innovations and product upgrades. It balances structural and organic efficiency opportunities in the supply chain with capacity expansion in selected markets. In Europe, measures were implemented during 2016 to further enhance efficiency and strengthen competitiveness. 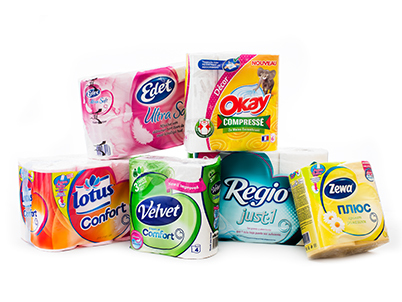 A tissue production plant in Sant Joan de Mediona, Spain, was closed and restructuring measures were carried out at production facilities in Hondouville and Saint-Etienne-du-Rouvray in France. Offering and market position: SCA is the world’s largest supplier of AfH tissue with the global brand Tork. The AfH segment comprises institutions and companies, including care institutions, offices, universities, industries, restaurants, hotels and venues for which SCA develops and sells complete hygiene solutions, including toilet paper, paper towels, napkins, hand soap, hand lotion, hand sanitizers, dispensers, cleaning and wiping products, sensor technology, service and maintenance. The products are distributed by distributors and service companies. SCA is the market leader in Europe and holds a market share that is about double that of the second largest player. Following the acquisition of Wausau Paper Corp., which was completed on January 21, 2016, SCA is the second largest supplier in North America. SCA’s market position is particularly strong in foodservice in North America, where approximately every second napkin is supplied by the Group. SCA also holds strong positions in emerging markets, such as Russia and Colombia, where it is the market leader. 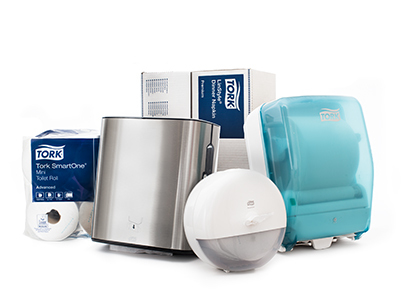 The global brand Tork provides significant synergies since the difference in customer requirements is minimal in regard to tissue and dispensers in the various parts of the world. Strategy: SCA is prioritizing activities to strengthen Tork’s global market-leading position through profitable growth, expanding at a faster rate than the market and growing to become a market leader in North America. SCA is focusing on increasing customer satisfaction and loyalty by helping its customers to be more efficient and environmentally friendly and by improving hygiene standards. Great emphasis is on sustainability. For example, SCA relaunched Tork SmartOne® with a new design and new functions in 2016. Tork SmartOne® is a toilet paper solution designed for use in demanding environments, such as schools, hospitals, stadiums and airports. These public places often have washrooms with high traffic where stringent demands are placed on cost control and good hygiene. Consumption of toilet paper can be reduced by up to 40% compared with traditional jumbo roll dispensers. The single-sheet dispensing system also improves hygiene and reduces the risk for pipe blockages. In 2016, SCA worked on the integration of Wausau Paper Corp. The acquisition is an excellent strategic fit for SCA and strengthens SCA’s presence and production capacity in North America. The Wausau Paper product portfolio complements SCA’s offerings in North America. The acquisition is expected to generate annual synergies of approximately USD 40m, with full effect three years after closing. Synergies are expected in sourcing, production, logistics, reduced imports, increased volumes of premium products and reduced SG&A costs. The restructuring costs are expected to amount to approximately USD 50m. In 2016, Tork SmartOne® was relaunched with a new design and new functions. Tork SmartOne® is a toilet paper solution designed for use in demanding environments, such as schools, hospitals, stadiums and airports. Consumption of toilet paper can be reduced by up to 40% compared with traditional jumbo roll dispensers.